11am – 9pm every single day. Call to make reservations and ensure quick seating. (843) 427-4720. We’re located in North Myrtle Beach along Highway 17. This North Myrtle Beach restaurant packs a big punch of Italian inspired cuisine. We welcome you to stop by our one of a kind bistro in North Myrtle Beach to enjoy our relaxed atmosphere and mouth watering food at an affordable price. With menu items ranging from $2.99 – $27.99 – the Midtown Bistro has a little something for everyone. Chef and owner Jeff Martini has created a restaurant where “simple food and simple prices” are the standard. 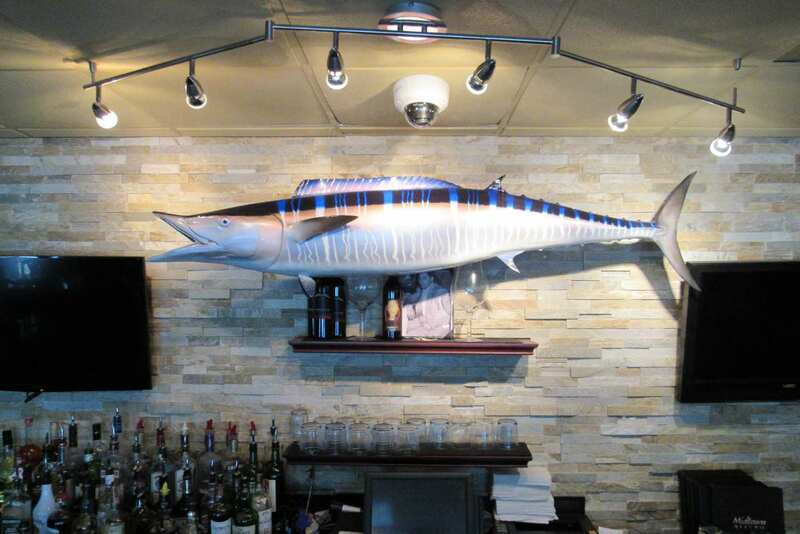 With no other bistros in North Myrtle Beach – it’s a lunch or dining experience you cannot afford to pass up! Looking for a dining experience with a menu that caters to adults, kids and everyone in between? A few of the menu selections for the Midtown Bistro include: Lasagna, Stuffed Peppers, Wings, Pizza, Club Sandwiches and hearty Chicken Salads. We also offer daily specials. We will see you soon and look forward to having you stop by our newly remodeled bistro in North Myrtle Beach. Fish medallions encrusted in parmesan cheese and Japanese breadcrumbs served with a yellow cocktail sauce. Three slices of white bread toasted with honey ham, smoked turkey breast, baby Swiss, bacon, lettuce, tomato, and mayonnaise. Our 8 oz. burger overloaded with crumbled blue cheese, lettuce, tomato and onions served on a Kaiser roll. Kid’s menu available upon request. Starting at $4.99. Consuming raw or undercooked meats, poultry, seafood, shellfish, or eggs may increase your risk of foodborne illness, especially if you have a medical condition. Dine in or take-out. Daily & nightly specials. Disclaimer: While all efforts are made to keep the information on this website & all menus online current, please note that availability, pricing and selection change frequently, and are subject to change without notice. We suggest that you call to confirm specific pricing & availability.